Best deal 31 May - 2 Jun. What are the top landmarks in Osaka? Watch theatrical shows, meet lovable mascots and go on exhilarating rides at this extensive movie-focused theme park. Experience the diverse marine ecosystems of the Pacific in this comprehensive aquarium, which hosts otters, penguins, seals and even whale sharks. Looming over the heart of Osaka’s central business district is one of the tallest structures in the city, where you can meet the god of happiness, Billiken. Super convenient location surrounding by many great restaurants and stores and major shopping centres and public transport. Staff are excellent and friendly. It’s very clean and new. Excellent service and perfect city view !! Free coupons of the Harukas 300 are so surprising !! History buffs will enjoy exploring Osaka, and visitors give high marks for the shopping, top-notch restaurants, and sightseeing tours. This city also attracts tourists with its museums, theaters, and aquarium. Top sights in the city include Osaka Science Museum, Osaka Castle, and Legoland Discovery Center. 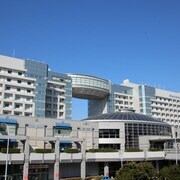 The city is well known for its museums and theaters, and cultural venues include Osaka Science Museum, Mint Museum, and Osaka Museum of History. Attractions like Legoland Discovery Center, Osaka Aquarium Kaiyukan, and Universal Studios Japan® are fun for kids of all ages. 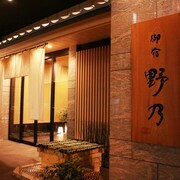 The city is notable for its historic sites and landmarks like Osaka Castle, Umeda Sky Building, and Shitennoji Temple. 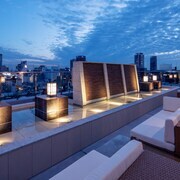 The St Regis Osaka - This 5-star hotel in Umeda features a full-service spa, 2 restaurants, and free WiFi. 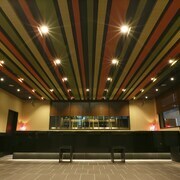 It's a favorite with Expedia travelers for its bar and clean, comfortable rooms. 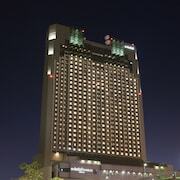 InterContinental Osaka - Our customers like the breakfast and helpful staff at this hotel. 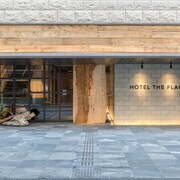 Guests who stay at this 5-star hotel in Umeda can enjoy access to a full-service spa and 2 restaurants, along with free WiFi. 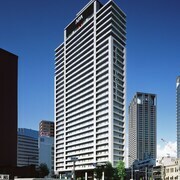 Osaka Marriott Miyako Hotel - This 4.5-star hotel features 2 restaurants, free WiFi, and a 24-hour fitness center. Expedia customers like its family-friendly amenities and overall value. Other favorite sights in Osaka include Shinsaibashi Shopping Arcade, Tsutenkaku Tower, and Open Air Museum of Old Farmhouses. Top places to see outside the city include Todaiji Temple, located 19.4 mi (31.3 from the city center, and Nijo Castle, which is 25.8 mi (41.6 away. With so many ways to get around, seeing Osaka is simple. You can take advantage of metro transit at Higashi-Umeda Station, Umeda Station, and Nishi-Umieda Station. If you'd like to explore more of the area, ride aboard a train from Osaka Umeda Station, Osaka Station, or Osaka Nakatsu Station. 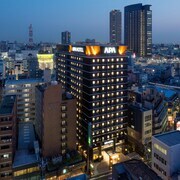 Explore Osaka with Expedia.com.au’s Travel Guides to find the best flights, cars, holiday packages and more!